Civil War Optics. U.S. Army Signal Corp and Medical Microscope by Zentmeyer. 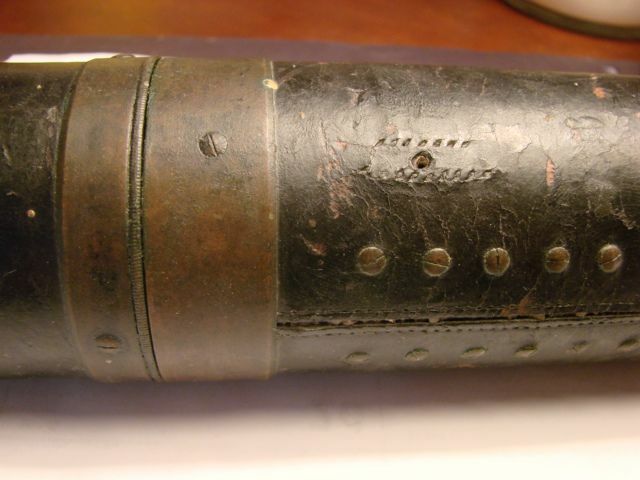 This page contains information which pertains to optic devices used in the Civil War. 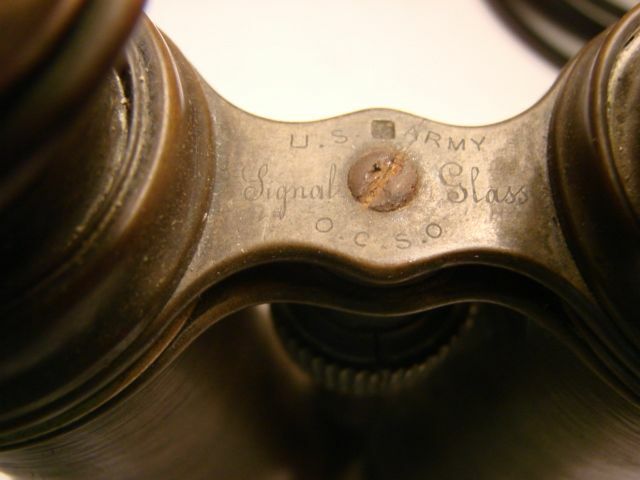 Here you will find a U.S. Army Signal telescope and set of U.S. Army Signal Corp field glasses. 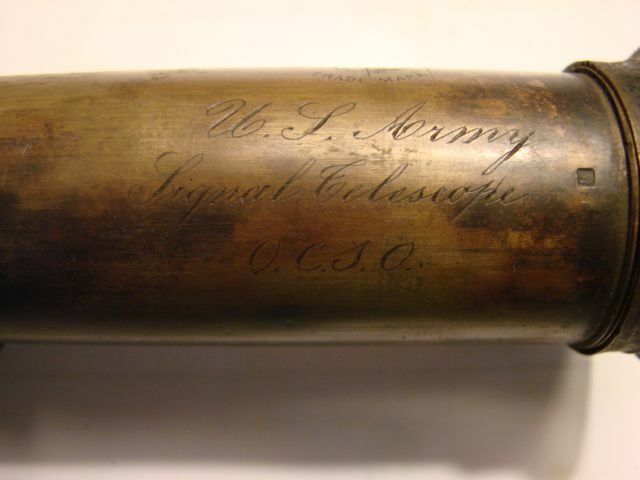 The US Army Signal Corp during the civil war was begun by Assist Surgeon Capt. A.J. Myer MD. 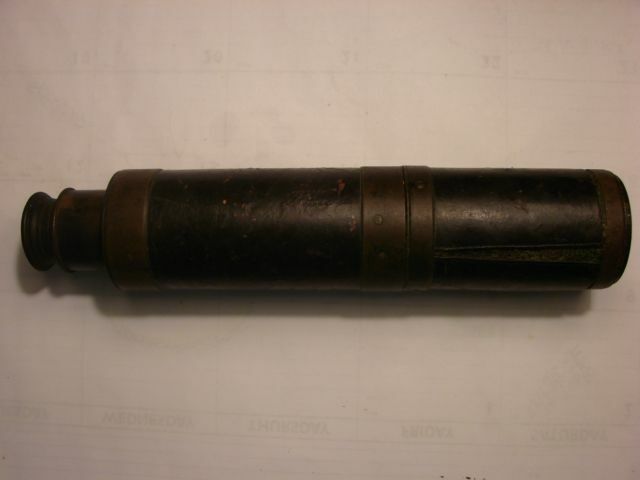 A code based on using signal flags or torches was used. 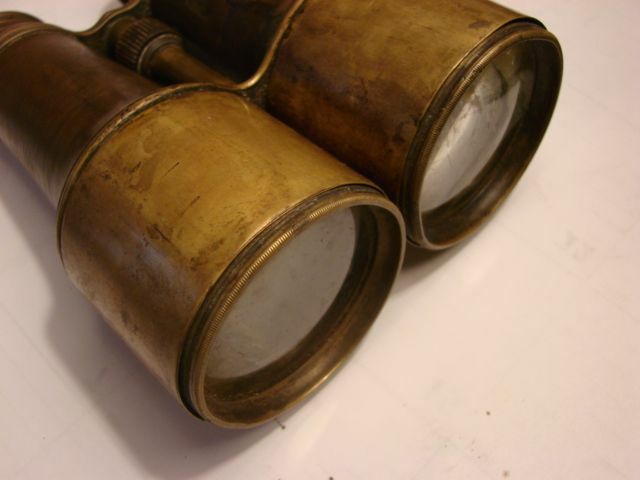 The telescopes and field glasses facilitated reading of the signals at longer distance. The US government purchased heavy duty leather covered four draw 30X power telescopes from the French maker D.F. Bardou and Son with trademark of caduceus and letters 'G' and 'B' on either side. Offical government models frequently were marked in script O.C.S.O. (office of the Chief Signal Officer) until 1865. The telescope was aprrox. 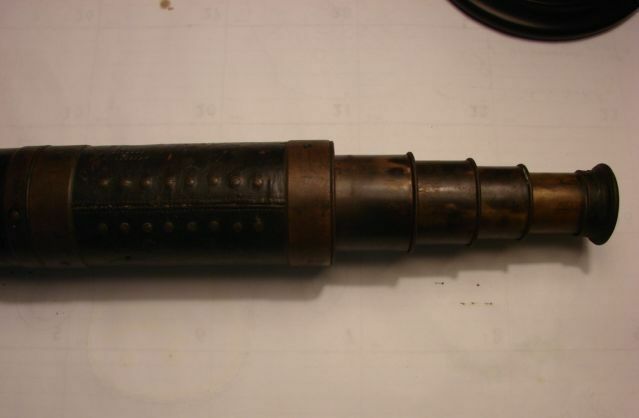 30 inches in length when extended and 10 when retracted. 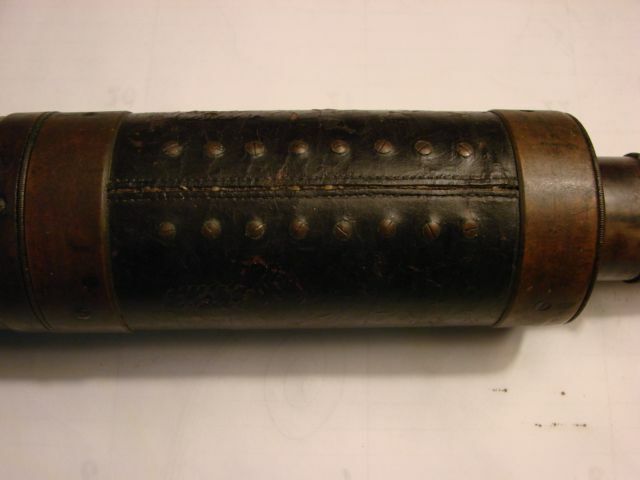 The tubes were made of brass with heavy leather covers held by two rows of eight screws directly into the brass tube. Two additional screws held additional leather attachement for the shoulder sling and leather end covers. The objective was 2 inches and included a sunshade. 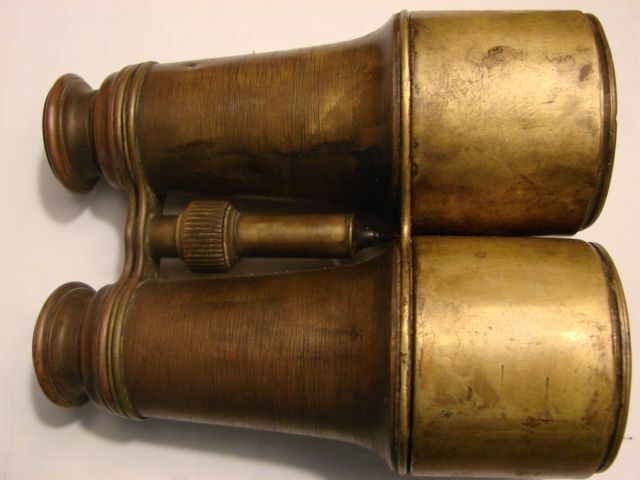 US Army field glasses or binoculars(sometimes referred to as marine glasses) were also of brass construction. 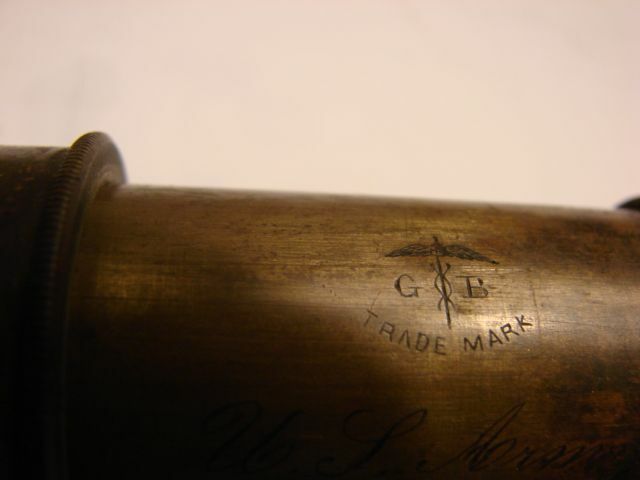 Presumably marked in similar fashion to show military ownership as the telescopes. No one dominate manufacturer has been identified. 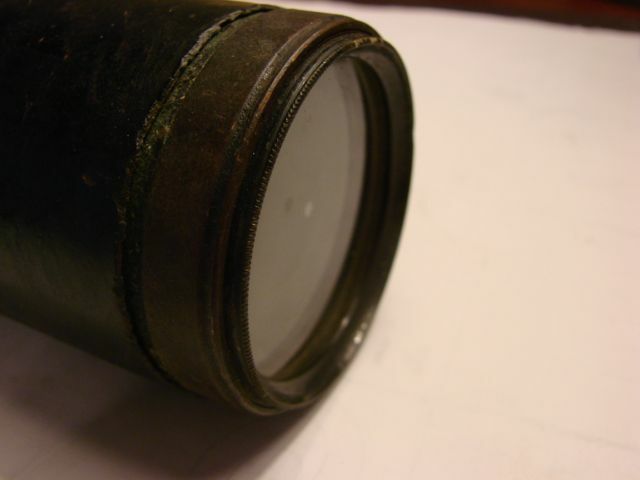 It is generally thought that any field glasses constructed with metal tangs or loops for attachment of leather straps are of postwar design. 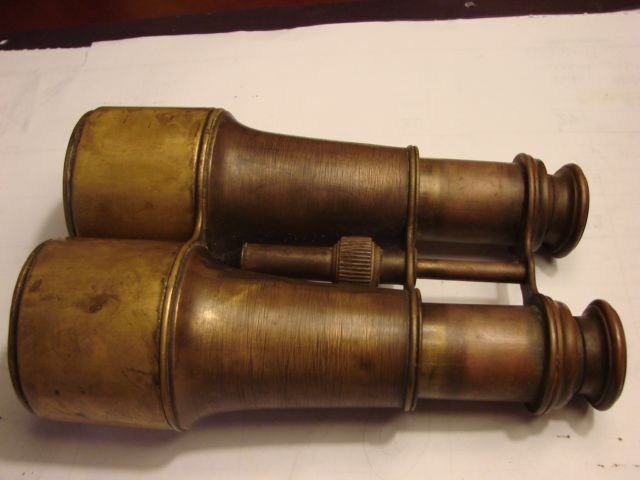 The photos below are standard issue civil war military examples of both a a Signal Scope and Field Glasses. 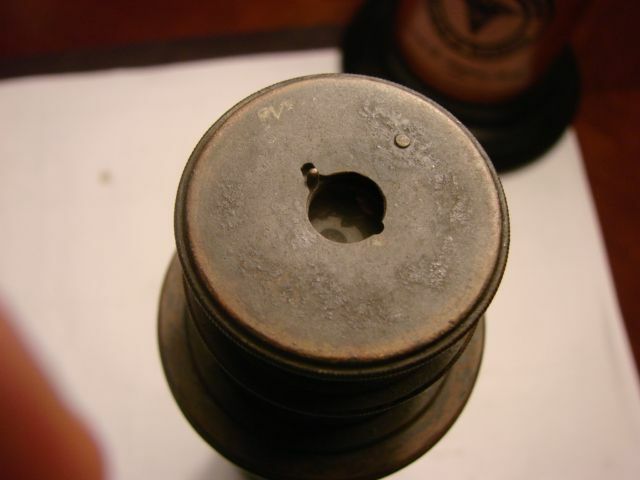 Closeup photo shows original screw holes for the two screws which held the heavy leather cross strap which served as the attachment point for the shoulder sling. Leather endcaps have not survived but the thick protective leather cover attached with 16 screws is still present and in good condition. I wish to thank David Gaddy for his invaluable information on the subject as well as authentication of these items. If you have optics or surgical sets you would like evaluated or would like to sell contact Dr. Scott Watson by clicking here. 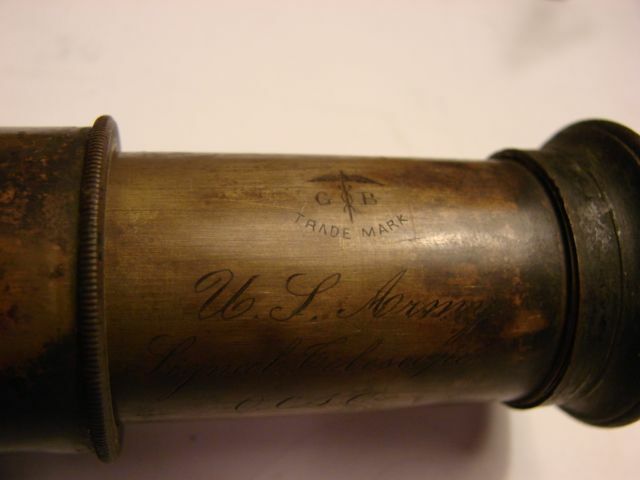 What is a Civil War Medical Book? No portion of this website may be copied, retransmitted, reposted, duplicated or otherwise used without the express written approval of the author.